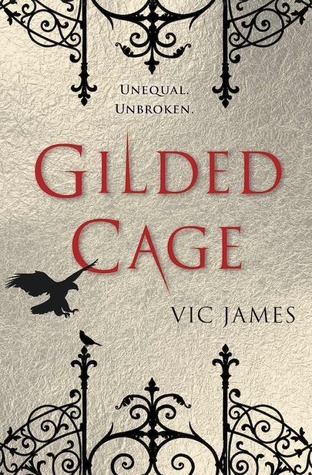 Vic James originally released Gilded Cage under the title Slavedays via Wattpad, where it won a Wattie Award for the distinction of being one of the most discussed books of the year in 2014. Earlier this year, Gilded Cage was published by Pan MacMillan in the UK and Del Rey in the US, and two more books in the Dark Gifts trilogy will follow: Tarnished City in September 2017 and Bright Ruin in June 2018. As a dystopia set in an alternate version of Great Britain, Gilded Cage is built upon the familiar theme of fighting oppression in the name of justice and equality for all people. Personally, I felt it was rather generic—especially considering it is slow with too many characters, many of whom are quite bland—but it does have some strengths setting it apart from other similar books. In the world of the Gilded Cage, a small percentage of the population has a gift known as Skill (basically, magic) that changed the course of history in Great Britain, making it a nation ruled by people calling themselves Equals. In the 1600s, a man with Skill overthrew the monarchy by killing King Charles the First (and Last) and destroying the palace. His son, Cadmus Parva-Jardine, is remembered as a peace-bringer who erected the Parliament of Equals building using nothing but his Skill and became the first Chancellor. This revolution also led to the Slavedays Compact, which requires each common citizen to spend a decade of their life as a slave, allowing the powerful Equals to dedicate themselves completely to governing. Though the Equals in their awesome magnanimity* permit citizens to choose approximately when to commit ten years of their life to service, there are benefits of choosing to do so sooner rather than later. Only those who have served are considered full citizens, and only full citizens are granted permission to own their own homes or travel internationally, among holding other rights. It’s also possible for entire families to opt to complete their slavedays together as long as all children are at least ten years of age, and the three eldest members of the Hadleys decide the family will begin theirs soon after the youngest child’s tenth birthday. Eighteen-year-old Abi has arranged for them to attend the Jardines themselves on their estate: a rare opportunity that is far preferable to spending a decade laboring in a slavetown. However, when the first day of their ten years of servitude arrives, the paperwork only includes four of the five members of the family. The Jardines could not find a job for sixteen-year-old Luke and reassigned him to a slavetown, even though minors are not supposed to be separated from their families even during their slavedays—and his parents and adult sister quickly learn they are powerless in the face of this situation since they now officially have no human rights whatsoever for the next ten years. The Dark Gifts series has promise given the strong ending of the first installment, but Gilded Cage as a whole is incredibly uneven. The prologue, which introduced the three Jardine siblings from the perspective of a slave attempting escape, piqued my curiosity enough to keep me reading, but there were several times after that point I considered leaving the book unfinished and may have done just that had it not been a fairly short book. Much of the middle of the novel is dull: it’s slow paced with lots of exposition shoehorned into bland text and dialogue. It also follows a lot of characters given its length—even the one in a coma has a point of view chapter—and though a few of them have some interesting qualities, it fails to make them fully three dimensional personalities. 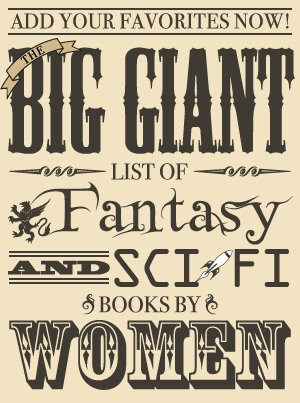 The large number of characters is both a weakness and the novel’s biggest strength. Perhaps fewer characters would have made room to flesh each of them out a little more; however, expanding the cast beyond the underdogs who want to change the system to those who are actually unlikable also provided the more fascinating characters (even if parts of their narratives were still leisurely). Gavar, the Jardine heir, is a horrible person, but his point of view gives him more depth by adding insight into his childhood that shows why he’s so fiercely protective of his daughter. His betrothed, Bouda, is an ambitious woman whose family rose to their position through merit rather than birth, unlike the present-day Jardines. Though she despises Gavar, she believes their marriage will help her achieve her goal: becoming the first woman to hold the title Chancellor. Most intriguing of all is Silyen, who is so powerful that even other Equals don’t understand his abilities with Skill—but what makes him so compelling is that he seems to be steps ahead of everyone else, and his plans and motivations are mysterious. He seems to be working toward dismantling the system when he bargains with the Chancellor in the second chapter, but what isn’t he telling the Chancellor about his reasons? Is it just the cold, calculating curiosity that seems to be part of his nature—or is it something else? By contrast, Luke and Abi are not particularly multi-faceted, especially the former. Luke has the basic character arc one expects in a dystopia: a brave person who realizes the world is unjust and joins the revolution. I found his chapters rather boring until his life is shaken up toward the end of the book. His sister Abi at least has a few character traits—she’s an intelligent, competent young woman who enjoys romance novels—but until she makes a bold choice toward the end, she’s rather dull, too. The more engaging parts of her chapters revolve around other people, and I quickly became tired of reading about her crush on Jenner Jardine that begins the moment she first lays eyes on him. Even setting aside the obvious problem of the Jardines’ enslavement of Abi (an issue of which she is aware when she first notices him), their budding romance has no spark. The time during which Abi works for Jenner and realizes that he, as the only Equal without Skill, is different from the rest is not shown: it goes straight from her realization that he’s handsome to her realization that she likes him as a person. Although it does show them together after that, they don’t have any chemistry then, either, despite some moments that seem to be trying to depict romantic tension between them. Gilded Cage did have some strengths with its compelling opening and ending, plus a few engaging characters. However, it lost my attention several times throughout due to some slow pacing, unnecessary filler, unexciting relationships between characters, bland dialogue, and mostly unremarkable prose. It was just interesting enough (and short enough) for me to finish the book, but it was not quite interesting enough to make me want to read the sequel, even though it did end on a high note.